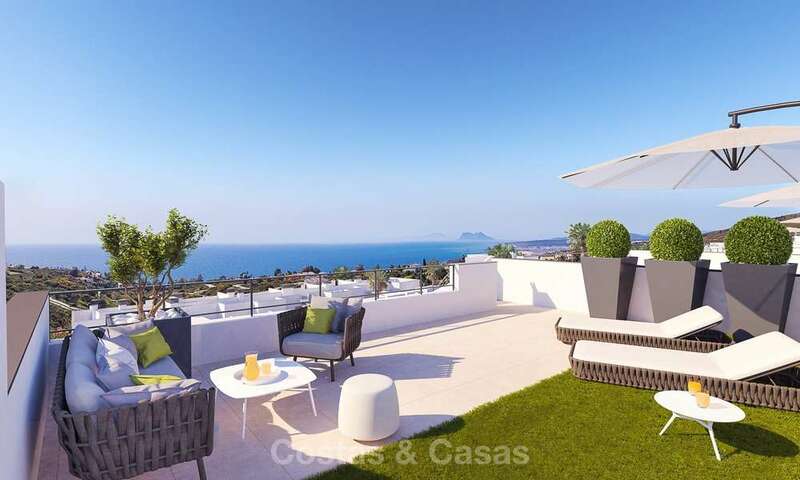 On an elevated position, in a tranquil residential setting in Manilva, offering truly superb sea views. The beach is just 1 km away and there are plenty of blue flag beaches in the immediate vicinity. 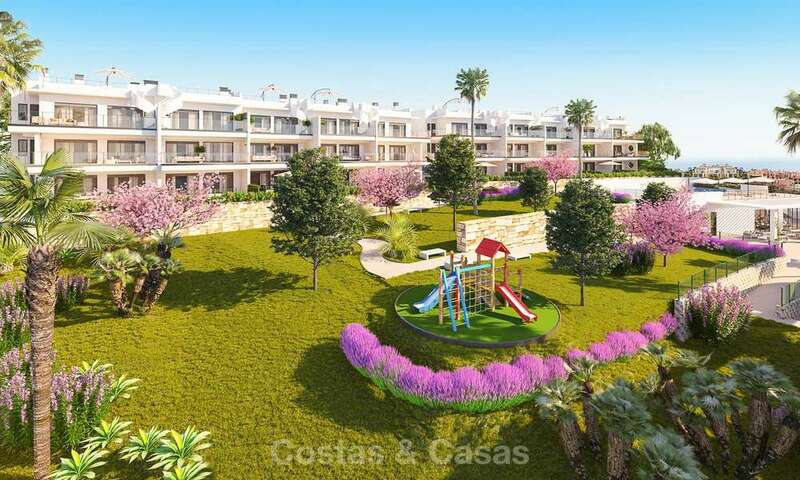 Just a 5 to 7 minutes’ drive to La Duquesa’s marina, restaurants and international schools and the beach promenade of Sabinillas with its abundance of bistros and eateries. A 20 minutes’ drive takes you to Estepona with its charming old town, marina and long beach promenade. Sotogrande’s stylish marina is about 12 minutes away. 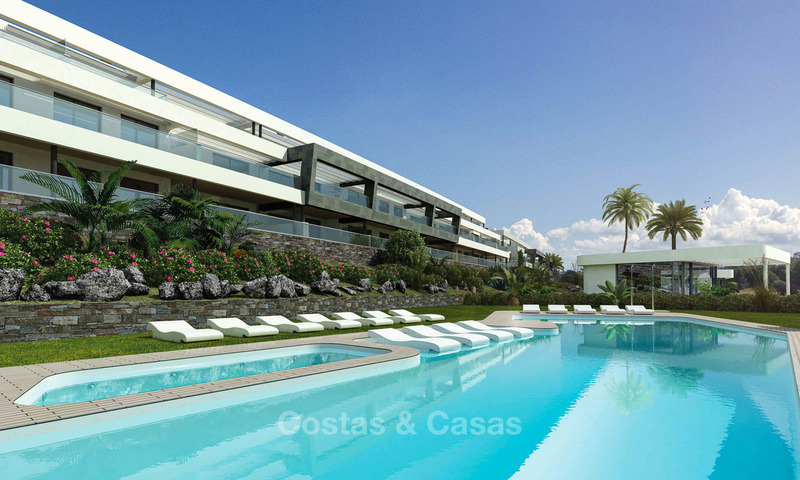 The picturesque village of Casares takes 15 minutes´ drive. There are further interesting excursion alternatives such as Gibraltar, Gaucin, Castellar de la Frontera, Ronda and Sevilla. Some of Europe´s finest golf courses, including Valderrama (10 minutes’ drive) are within easy reach. Chic, new, low-rise development of just 46 contemporary apartments and penthouses. 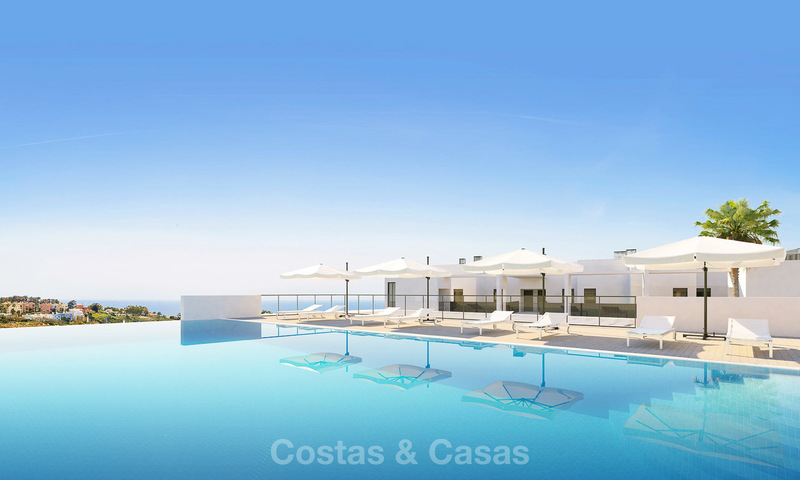 The complex is gated and benefits from a large infinity pool and on-site fitness facilities. 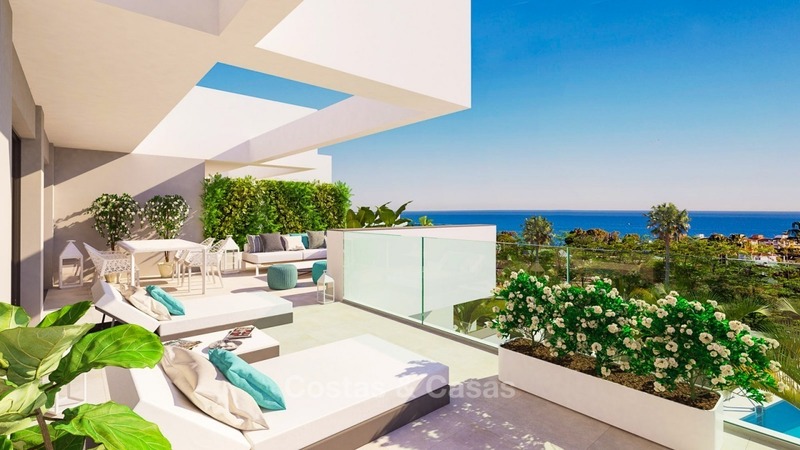 The apartments are sleek and modern in design, with open plan layout and huge oversized windows, creating spacious, airy and bright living spaces which fluidly connect with the outdoor terraces and phenomenal sea views. The apartments adhere to the highest standards of quality , design and safety and combine sustainability with high-level comfort. 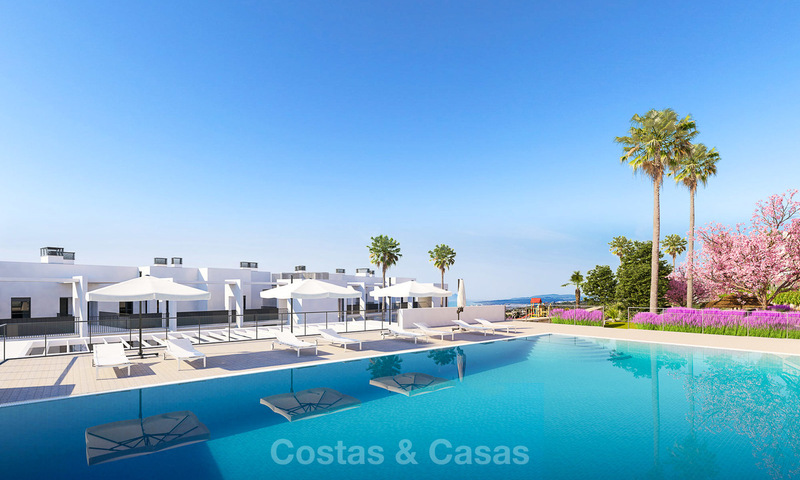 Given their excellent location, panoramic sea views, building qualities and finishes, these wonderful apartments offer great value for money. Building license has been granted and construction works have started. Completion date is expected for the end of 2019. 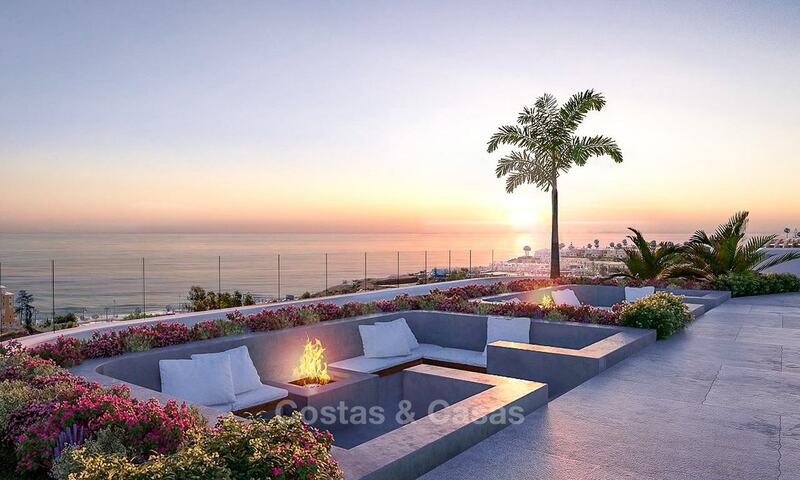 Whether you opt for a ground floor garden apartment, middle floor apartment or penthouse apartment, unobstructed panoramic sea views are assured.